Popups are the most annoying thing on the Internet. That’s why we have made our website popup free. But by installing a few apps, you can block these popup for ever. In this post we will focus on 5 such Free Popup Blocker for Chrome that are easy to use and efficient. 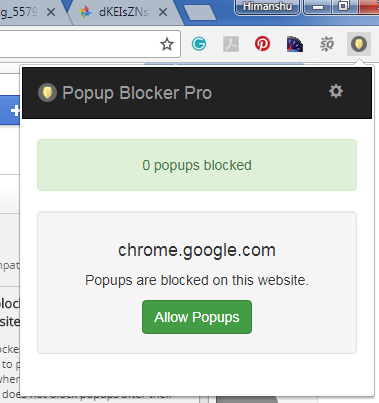 These Free Popup Blocker for Chrome are also available for other browsers like Mozilla. They are easy to set up and can be installed by anyone. 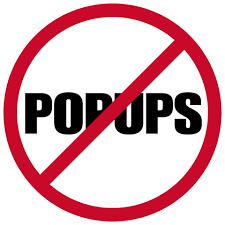 So let’s begin with our list of 5 best free Popup blocker. The Google Chrome browser has an inbuilt popup blocker. You can activate it by following the below given steps. Open Google chrome on your PC. Go to “Privacy,” and click Content settings. Do not allow any site to show pop-ups. That’s it, Chrome will block all the popups on your browser. Google Chrome cannot block all Popups on your browser. Hence, you will have to install a third party app. 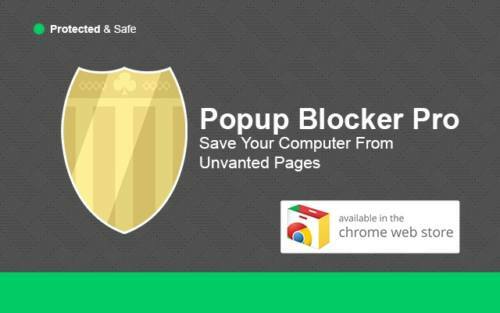 Go to Chrome web store and search for Popup Blocker Pro. This plugin is the most used extension on the google chrome. Just open the link given here and click on “Add to Chrome”. Allow Chrome to add it on your browser. That’s it, the plugin will block almost all the popups on your browser. You can also allow some websites to show Popups. Since many websites (such as Banks or Help links) shows Popups to their visitors. To do so, just click on the installed plugin on top right corner and add website on the “Allow Popup” button. This plugin works in the same way as the above one. Go to this link and install it on your browser. This extension has been downloaded by 2 Million users. It will smartly block popups from all torrent sites and other download websites. Hence, if you are an extensive downloader of movies or TV shows, the this plugin is for you. This Extension blocks popups made of Java scripts. As most of the popups now are created by Java scripts, hence this plugin is effective in most of the cases. It will even block popups that chrome settings is not able to block. Click here to add Java script Popup blocker on your Chrome browser. Popup Blocker (strict) is a lightweight google chrome extension. The function of this plugin is same as the others. It blocks all the popups on your browser and make browsing easy. Add it on chrome by clicking on this link.